New Delhi: Biotechnology major Biocon has reported nine percent increase in its consolidated net profit to Rs 103 crore for the quarter ended June 30. The company had posted a net profit of Rs 94 crore during the same period of previous fiscal. The total revenue of the company rose to Rs 742 crore for the first quarter, against Rs 723 crore during the same period of previous fiscal, Biocon Ltd said in a statement. "Our revenue growth this quarter has been muted. Our business performance reflects the challenges that we are temporarily facing in some of our key markets, especially in the Middle East. Biotechnology giant Biocon on Friday reported an impressive jump of more than two-fold in its consolidated net profit for the quarter through March 31, thanks to a steep jump in exceptional income. Biocon announced that its consolidated net profit jumped to Rs 248.61 crore during the January to march quarter of 2013, as compared with Rs 97.80 crore in the same period of the previous year. Bangalore, April 26 : India's biotechnology major Biocon Ltd posted consolidated net profit of Rs. 509 crore for fiscal 2012-13, registering a whopping 51 percent year-on-year (YoY) growth over previous fiscal (2011-12) at Rs. 338 crore. In a regulatory filing to the Bombay Stock Exchange (BSE) Friday, the Bangalore-based firm said consolidated income for the fiscal (FY 2013) under review grew 18 percent YoY to Rs. 2,538 crore from Rs. 2,148 crore year ago. Indian biotechnology major, Biotech has said on Friday that its net profit has risen by 9.38 per cent to Rs. 92.81 crore during the third quarter of the current financial year. The Bangalore based biotechnology firm has recorded a net profit of Rs. 84.85 crore during the same period of the previous financial year. The net sales of the company was recorded at Rs. 634.22 crore in the third quarter from October to December, 2012 compared to Rs. 516.59 crore recorded during the third quarter of the previous year. 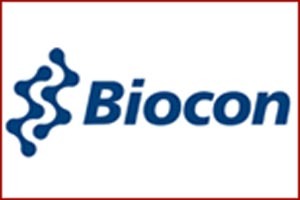 India biotechnology major, Biocon announced on Thursday that it has received approval for selling Novel Biologic Itolizumab that is used in the treatment of chronic plaque Psoriasis. The company said that it has received marketing authorisation from the Drugs Controller General of India (DCGI) for the drug, which is an anti CD6 molecule and a first in class therapy with a unique Mechanism of Action (MOA). The approval for Itolizumab comes after a 52 week Phase III multi-centric clinical study, which was carried out in the country. Stock in Biocon gained Rs 6.10, or 1.99 per cent, a share after the company announced that it had hit an option agreement with Bristol-Myers Squibb Co for its prandial oral insulin product candidate called IN-105. The stock hit an intraday high of Rs 321.50 and a low of Rs 311.10. In the prior trading session, the stock gained Rs 12.25 or 4.16 per cent to close at Rs 306.80 a share. Indian biotechnology major, Biocon has reported a 4.7 per cent increase in net profit, ahead of of market expectations, during the second quarter of the financial year. The Bangalore-based company said that its consolidated net profit increased to Rs 900 million to $16.65 million during the second quarter till September, 2012 compared to Rs 860 million rupees a year earlier reported in the same quarter of the previous year. The revenues of the firm increased 19.3 per cent to 6.42 billion rupees. Market analysts were expecting a net profit of 863.7 million rupees, according to Thomson Reuters I/B/E/S. India's largest biotechnology company by revenue, Biocon has recorded a growth of 12.42 per cent in consolidated net profits to Rs 78.80 crore during the first quarter of the financial year compared to the same quarter in the previous year but recorded a fall of 19 per cent from the previous quarter. India's largest biotechnology company by revenue, Biocon has recorded an increase of 26 per cent in consolidated sales to 5.89 billion rupees in the fourth quarter of the fiscal year. World's largest drugmaker, Pfizer has announced its exit from a deal under which it was to sell insulin products made by Biocon, which is India's leading biotechnology company. The two companies released a joint statement announcing the scrapping of the deal and cited individual priorities as the reason for ending of the deal. Biocon was expected to earn millions of dollars in royalties through the deal and now it is left without any partner to distribute its products in the US and other global markets. India's leading biotechnology company, Biocon Ltd has reported a fall of 15 per cent in net profit in the quarter till December 2011 mainly due to lower licensing income. Biocon, which is based in Bangalore, has said that its consolidated net profit fell to 848 million rupees in the third quarter till December 2011 compared to 1.01 billion rupees in the same period previous year. The total revenue for the company increased 3 per cent in October-December quarter. The company's licensing fees and income fell to 292 million rupees from 768 million rupees in the previous year. Indian biotechnology giant, Biocom has reported a fall of 4 percent in its quarterly profit mainly due to increases expenses on higher energy costs and wages. The company said that its consolidated net profit fell to 857 million rupees in the second quarter of the financial year compared to 892.2 million in the year ago period. However, the company sees an opportunity in strong demand from branded formulations. The net profit of biotechnology company Biocon decreased by 9% in a year amounting to Rs 70.05 crore, but the company witnessed an increase in the sales by 10% amounting to Rs 441.68 crore. The low income earned by the company had affected the share prices of the company, marked by a fall of 2.8% at Rs 360.15 on NSE. Bangalore, April 28 : Indian biopharma major Biocon Ltd posted consolidated net profit of Rs. 101 crore for fourth quarter (January-March) of fiscal 2010-11, registering 25 percent year-on-year (YoY) growth. In a regulatory filing Thursday, the country's leading biotech firm said consolidated revenue for the quarter (Q4) under review, however, grew by eight percent YoY to Rs. 717 crore from Rs. 666 crore same quarter year ago.